I presented at a Secondary School in Melbourne today and opened the proceedings with this video. It raised a few chuckles, just as it has done this week when I’ve shared it with family and friends. To contrast, I then shared Google’s Glass video. With well over a million views, there’s a good chance you’ve seen it already, but if you haven’t, sit back and enjoy the ride. Every week is a busy week it seems. This one was no exception. I’ve continued to use my Chromebook as my ‘on the fly’ computer (as my son likes to call it) and my reading about Chromebooks and Google apps in schools further convinces me that it’s a path we need to follow. We’ve held very productive meetings about the rollout of our new Learning Management System at school and we’re in the process of designing an exciting interface. I’m organising a Skype call with Daraja Academy in Kenya for next Tuesday as students from my school gear up to participate in ‘Race for Daraja’ to support the education of Lilian, a young girl attending Daraja. I also found out I’m headed to Borneo on a school trip that leaves in six weeks! There’s going to be lots of fundraising and organisation to do in the interim. Life never slows down, and to be honest with you, I wouldn’t have it any other way. But, I am looking forward to the weekend. Looks like one of the last of the warm days awaits Melbourne tomorrow. I’ll be finding some time to sit outside in the sun with a cuppa, maybe even a glass of wine in the late afternoon. Helen, if you’re reading this, pop on over! Well, I have to say the Google Apps Summit in Brisbane (actually, Buderim to be more precise) was well worth attending. I admit I was sceptical – I love Google Docs and the associated suite of tools and wondered if there was much more I could learn. But, with Google, there’s always more to learn, because it’s a company that is always pushing the barriers, always innovating. I did have a distinct purpose in attending. I wrote earlier in the year about the demise of netbooks, and mentioned how our school was going to have to find an alternative as we provide netbooks on a 2:1 ratio in our Prep through to Year 4 classrooms. Although many would see iPads as the natural alternative, I hold deep reservations about the management of devices that are intended to be personalised and not shared. Devices like iPads require software updates and the addition of new apps as teachers discover new ways of using them in their classrooms. I’m not sure they’d be too keen on their iPads not updating or having new apps added until holiday breaks when our IT team would have time to get this work completed. Yes, computers require software updates and reimaging too, but the lure of the iPad is the accessibility to apps and we know that new ones are appearing all the time – teachers often want things right now, not for the start of next term. I really wanted to explore Chromebooks and see what possibilities they hold for these year levels. As I mentioned in my last post, Suan Yeo from Google kindly let me borrow a Chromebook to use for the first day. It was a great opportunity to see what it was like existing in Chrome OS and relying on what was available there when there is no software to speak of loaded onto the device. You’re obviously dependent on your wifi connection, and any school thinking of heading down this path would have to take a long hard look at their existing infrastructure and see if their WAP points and Internet pipe could support their usage. The Chrome app store has quite a few decent apps that can support creation of docs etc in junior grades, but you’d have to assess whether your needs can be met from here, especially if you’ve been dependent on certain software for your curriculum. If you were going to take this course, you’d have to become a Google Apps school. Purchasing Chromebooks as a Google Apps school means you have to factor a further $30.00 onto each device’s cost. This allows you to have the Chromebook registered in your Google apps management console and you can deploy the apps you want your students to be using (and restrict access to the ones you don’t want them using) through here. This is also where you can control the release of Chrome OS updates out to those machines. Currently, the Chrome OS is updating every six weeks or so. An update that comes through without warning can play serious havoc with a school’s bandwith, Updates could be scheduled for periods when the network is not particularly busy (think 4.00pm Friday afternoon!) and all done from one computer that holds the management console. Currently, our netbooks (over 90 of them) are all recalled at the end of the school year (a logistical nightmare) and are updated and reimaged by the school’s IT team, a process that takes a few days and requires room and power outlets to lay them all out so that updates can happen to more than one machine at a time. With the Chromebooks, this would be happening throughout the school year on a regular basis and all controlled through one management console – no need for the IT dept. to be investing huge wads of time at what are the busiest times of the school year for this department currently. Interestingly, NSW DEC is in the process of rolling out Google Apps to all of its schools. So is CEnet (Catholic Education Network). Monash University and Melbourne University run Google apps, as do many companies including Elders and non profits like the Girl Guides! It really makes you think. If large scale organisations like these are deploying Google Apps, and saving themselves a bucketload of money in the process, then maybe it’s worth considering for your school. I’m betting the legal teams of these organisations have poured over the terms and conditions from Google, because there’s no way they’d be opening themselves to litigation problems. The question was asked at the conference about the security of your information as stored on Google’s servers. One delegate running Google Apps in his school (and with experience running it through local govt. prior to this) said that he felt they offered just as good, if not better security than what he could provide running servers storing the data on his campus. Mark Wagner posited the question, ‘Do you have armed security guards protecting your servers and has your organisation stood up to the might of the Chinese Govt. and denied them access to data you have stored?’ Food for thought. The nagging question that always sits at the back of my mind is the fact that Google has your data, and in doing so, has the ability to mine it. If Google Apps exists as an option in your school’s suite of products, then particularly sensitive data is stored in database systems (like Synergetic) where access is carefully controlled. I think what is necessary if you’re going to go down this path with your student cohort, is the digital citizenship curriculum that should work in tandem with products like these. Students these days need to be aware of what cloud based storage is and how storing data in spaces like these comes with its own set of responsibilities. We need to help our students become informed users – users who understand dashboard controls and settings and how to manage these so that you are in as much control as you possibly can be. We need them to understand that free does come at a cost, and the cost is data mining to determine your browsing habits, your likes and dislikes. Do this, and we’re preparing our students well for the future they will, (they do!) inhabit. Ignore this, and you’re in serious danger of selling the students you teach short. One interesting Google product that was discussed is Google Takeout, a new product that allows you to download copies of the information you have stored in various Google spaces. This way, if a teacher leaves your school, they can download the documents they have created in their school domain Google account and presumably transfer them to their own personal Google account. This addresses the problem of what happens to documents created while they are employed within your school. Your management console would give you access to this school account and the documents contained within. Let’s face it, plenty of teachers leave schools right now without storing everything they’ve created in their school LMS or shared resource folders. Google apps may just give you more access than you had before. (If I’ve misinterpreted this feature, please correct me – I may very well be wrong in my interpretation). Obviously, the conference experience had an impact on me, as I went out today and purchased an Acer Chromebook. I choose this version, because I liked the placement of ports and the increased number of options on this device as compared to the Samsung model eg: both VGA and HDMI connection points. In playing around with it tonight, I can see there is a cloud printing option, but I’m not sure how well this will work in a networked printer setup schools support, especially considering we’re having problems getting iPads printing to our networked printers at the moment. I’ll take it to school tomorrow and see if there are any issues getting it connected to our network . There is so much more to share from this conference experience. I’m going to try and find some time to Storify my tweets as I shared many valuable links over the two days. I’ll also try and blog here about my experience with the Chromebook so that others can weigh up whether or not it might work for them. Thanks to the conference organisers of the Brisbane summit for a very stimulating two days. You’ve got me thinking! Aahhh…Google. They do it well. Take delight in their clever advertising campaign about Search. 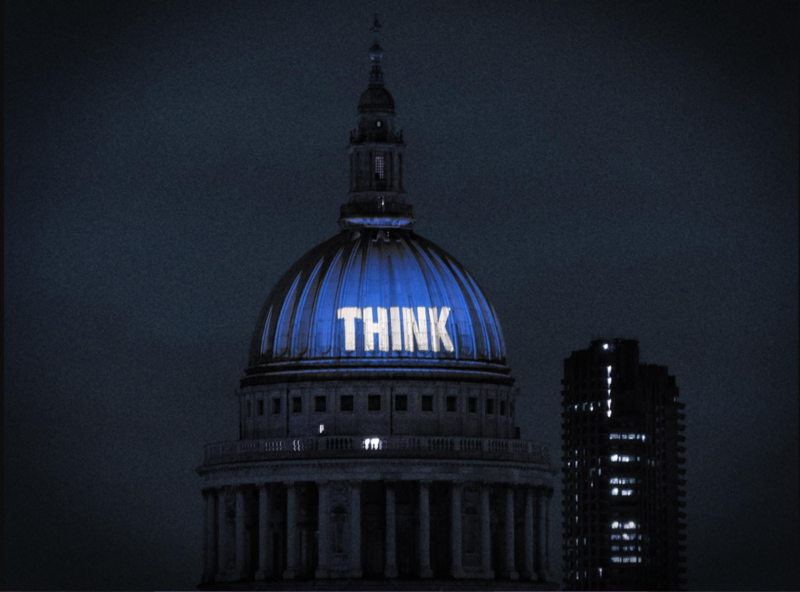 If only all advertisers understood that a good story, cleverly told, is the most powerful tool at their disposal. I’ve been Googled today. Not in the search sense, but in the Google Summit sense. I’m in Maroochydore tonight, which is close to Buderim where the Google Apps for Education Summit is being held at Matthew Flinders Anglican College. Today was the first day of their two day conference, and I was very pleasantly surprised that there was so much learning to be had today! My twitter stream is literally flooded with information and links that I shared. If you care to, take a look at #gafesummit on Twitter and you’ll see some of the great tips and ideas that were shared today. I’m very interested in Chromebooks and their potential for use in schools and tweeted that I had to get my hands on one to check it out. Suan Yeo, the head of Google Enterprise Education efforts, saw my tweet and replied asking me to find him out to talk about that. I did during the next break, and he gave me a Chromebook to try out for the day. Very cool! I was very impressed. A Chromebook is a thin client device – it contains no hard drive and relies on the Google Chrome operating system and obviously an Internet connection. I was using a Samsung Chromebook. It was very light and had a USB, SD Card and HDMI port. You’d be relying on your Google Drive account and the Chrome App store for creation tools, but that’s pretty achievable these days given the options available there. I think I’m going to invest in one of these in the near future and see how it goes in a school setting. At around $350, the price point is good. Given the demise of netbooks, this is looking like a viable alternative for schools with the infrastructure that can support them. I’m going to Storify my tweet stream and try and write a halfway decent blog post about the summit on the plane journey home tomorrow night. I need to take the opportunity to write in the air, because that kind of dedicated lack of distraction time doesn’t come my way all that frequently these days. I’m looking forward to tomorrow and the learning to be had. Better charge those devices in preparation! Now I know some of you might be looking for some high brow thoughtful video that might cause you to involuntarily smirk with appreciation at the wit being shared, but I’m here to disappoint you tonight. 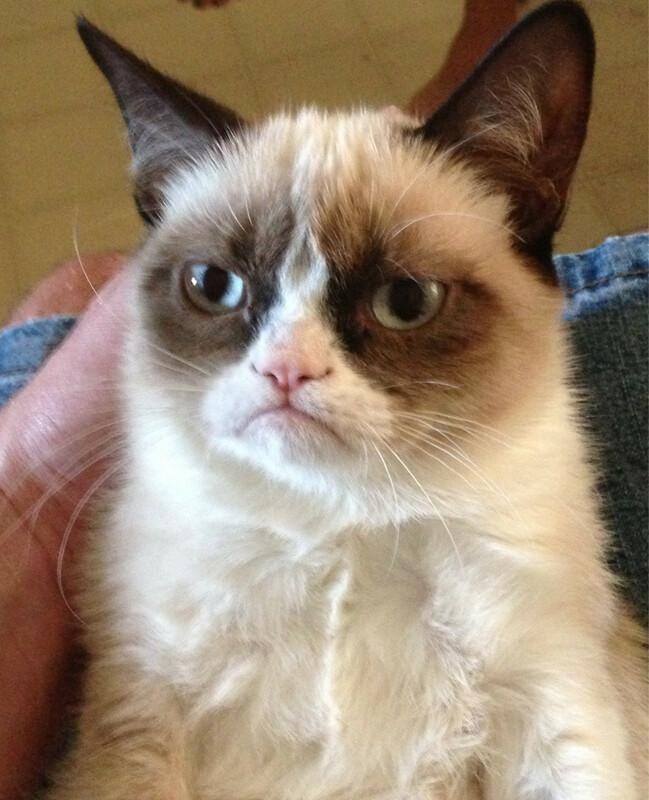 Instead, you need to delight in the presence of Grumpy Cat. Believe you me, if you know your Memes, you have hit an entry point into the lives of the students you teach and you just might find yourself able to converse in their language and maybe even improve the teacher/student relationship in the process. Knowing the Memes that are out there has improved the relationship between myself and my children. We’re often laughing together uncontrollably while my husband looks on in confusion. That’s a power position to be in my friends. Take my advice – read ‘Know your Meme‘ on a regular basis. In the meantime, delight in the presence of Grumpy Cat. I’m tempted to order a Grumpy Cat coffee mug, so I can smile at work every time I look at it. One of the things I set out to do when I took on the role of Director of ICT and eLearning at my school, was to find ways for our staff to share what’s happening in their classrooms. Despite the fact that we often are working in environments with large numbers of staff working within very close proximity of one another, teaching can be an isolated and sometimes lonely profession. Very often, we’re unaware of what is happening in peoples’ classrooms and it’s difficult to find moments where we can get together en masse to share. In our meeting schedule, we scheduled a Teachmeet as our last staff meeting for the term. I love the idea of Teachmeets, but I’ve yet to attend one. They are informal gatherings of teachers where strategies, new approaches etc are shared and most of them take place on weekends in locations close to the city. I find it really difficult to get to them given the demands of family life and the sheer fact that I’m pretty tired from the working week and need the weekend to recuperate (and do the washing, vacuum the floors etc etc). Last year, when I attended ISTE in San Diego, one of my Australian friends shared how they have Teachmeets with their staff so I thought this would be something we could replicate to bring people together and help to build our professional learning community. There’s a requirement that this will be a fun event, so bring along your good humour, great catching skills and supportive smiles as your peers share their practice with you. The great catching skills were needed for the lolly throws that took place between presentations, and the supportive smiles were absolutely necessary to help staff present in front of their peers. I don’t know about you, but I’d rather address an audience of 200 strangers than I would the people I work with on a daily basis. I think we were all feeling a degree of stress about the afternoon, but it was unfounded. Our peers were very supportive and got into the spirit of the afternoon. Lollies were caught, laughter was shared, music was played in between presentations and sessions provoked discourse between participants. The feedback from the Teachmeet has been fabulous. In the hours after I received emails from staff saying how much they’d enjoyed the meeting and that it was fun and engaging. This continued throughout the week when people approached me saying how much they’d taken from it and how the format was perfect for a positive end of term meeting celebrating what’s happening in the school. Our eLeaning coaches who presented have been approached by staff who want to know more about what they’re doing and want opportunities to learn from them. Sometimes we neglect to explore the expertise that exists within our own staff. We send people out to expensive external professional development where they hear from others when it’s quite possible similar expertise is being played out in classrooms next door to them. Becoming a professional learning community within the walls of your school means finding opportunities like internal Teachmeets where people can discover the experts among them, and build the rapport and professional dialogue with peers that can become a model for others to follow. Schedule an internal Teachmeet with your staff next term – I don’t think you’ll regret it. They’re becoming a permanent fixture in our school calendar!